Our Newton backyard infill house is taking shape. After many months of planning and permitting, the frame is now complete, the roof is on and interior work will be taking place in the winter. We are so exited to see the progress on this project! 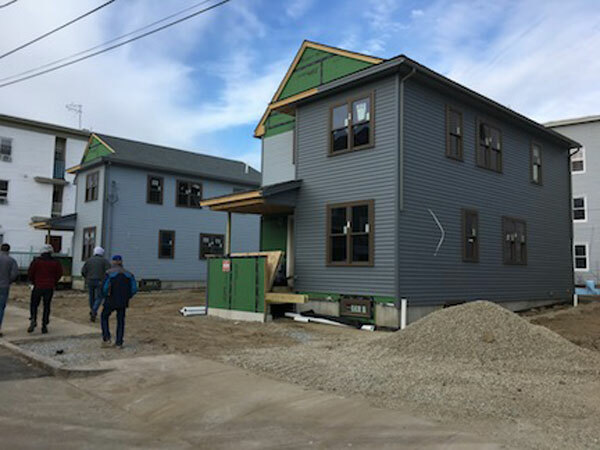 In Lawrence, our five new affordable homes are in progress. 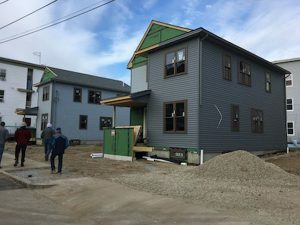 These houses will really transform this neighborhood in a positive way. 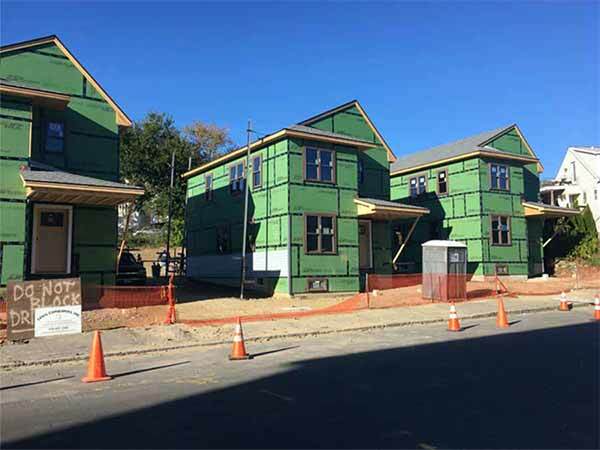 Over 200 Lawrence residents are qualifying for the lottery to become first-time homeowners. Kudos to Lawrence Community Works for arranging the funding and support to make this project happen! We have started BPDA’s Design Review for 141Westville. 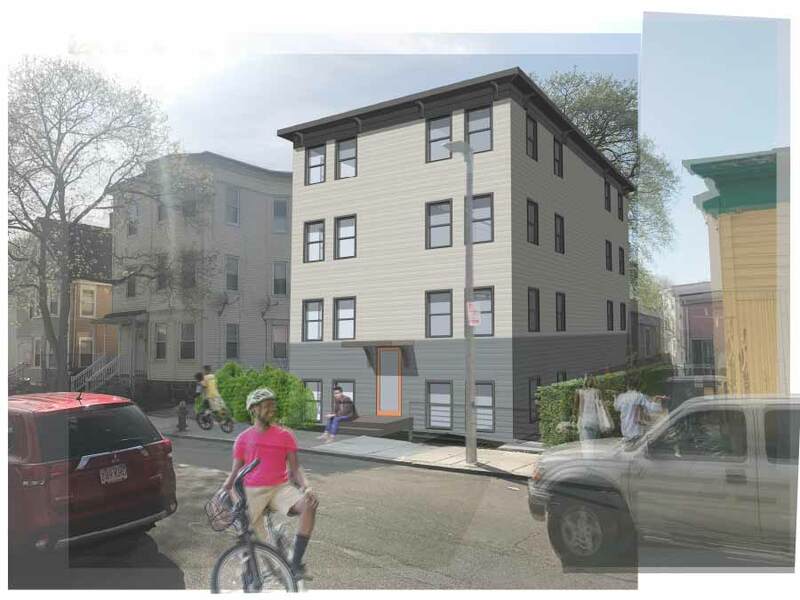 Located in the Fields Corner neighborhood of Dorchester; this project proposes 12 efficient Micro-Unit rentals in the footprint of a standard triple decker. Our client, a longtime neighborhood resident, is passionate about helping to fill the need for affordable, transit-oriented housing in Boston. We are developing the project under the newly adopted City of Boston Compact Living Pilot Policy. Please visit 141Westville website (link above) to read more about it! An exciting new far-flung project is in the works – a high-performance (Passive House) home in the Eastern Townships of Quebec. Because of the construction method, this home will require virtually no auxiliary heating. When PV panels are installed on the roof, it will become a net generator of electricity.